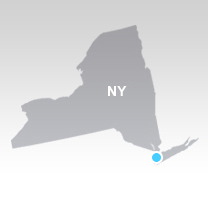 The directions to our office in New York are outlined below. If you have any additional questions, please feel free to contact our office directly at the numbers listed on this page. Start out going Northeast on LA GUARDIA RD toward TERMINAL B C AND D. (0.1 miles). Turn SLIGHT LEFT to take the ramp toward TERMINAL A/RENTAL CARS. (0.1 miles). Turn LEFT onto CENTRAL TERMINAL DR. (0.1 miles). CENTRAL TERMINAL DR becomes AIRPORT EXIT. (0.1 miles). Merge onto GRAND CENTRAL PKWY W toward MANHATTAN. (0.7 miles). Take the BKLYN-QNS EXPWY exit- exit number 4- toward VERRAZANO NARROWS BR./I-278 W. (0.4 miles). Merge onto BROOKLYN QUEENS EXWY E. (0.4 miles). Merge onto BROOKLYN QUEENS EXWY/I-278 W. (2.4 miles). Merge onto I-495 W via exit number 35 toward MIDTOWN TUN (Portions toll). (3.2 miles). Keep RIGHT at the fork in the ramp. (0.1 miles). Turn LEFT onto E 37TH ST. (0.1 miles). Turn RIGHT onto 3RD AVE. (0.5 miles). End at 780 3rd Ave.
Start out going East on TERMINAL 1 DEPARTURES. (0.1 miles). Turn SLIGHT LEFT. (0.1 miles). Turn SLIGHT LEFT to take the ramp toward AIRPORT EXIT/OTHER TERMINALS. (0.1 miles). Stay straight to go onto JFK EXWY. (0.1 miles). Merge onto VAN WYCK EXWY/I-678 N toward AIRPORT EXIT/RETURN TO TERMINALS/LONG TERM PARKING/RENTAL CAR RETURNS. (8.2 miles). Merge onto I-495 W via exit number 12B (Portions toll). (8.1 miles). Keep RIGHT at the fork in the ramp. (0.1 miles).